Popular superbike manufacturer Kawasaki has launched new ZX-10RR motorcycle which is actually a special edition of Kawasaki ZX-10R. This latest motorcycle from Kawasaki is track-focused. There are actually not much difference when compared to the standard ZX-10R motorcycle. This all new Kawasaki ZX-10RR is made available only with a single seat saddle and gets an engine with minor tweaks. 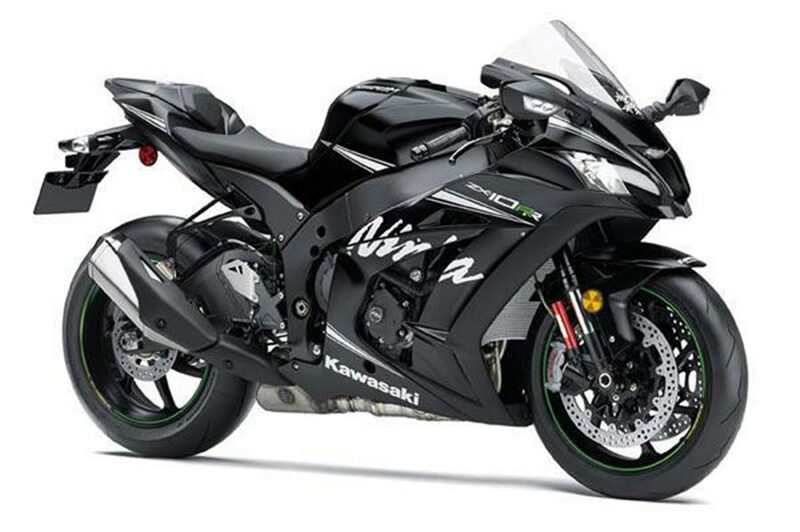 The New Kawasaki Ninja ZX-10RR from Kawasaki gets only a single black paint shade. The Ninja ZX-10RR motorcycle features a 998cc 4-cylinder liquid-cooled engine that gets a modified cylinder heads and accommodates higher-lift camshafts from a new RR race kit which is sold separately. The new reinforced crankcases helps to increase the durability. When it comes to power figures, the all new Kawasaki Ninja ZX-10RR gets an engine with overall power output of 200hp at 13,000rpm (210hp with ram-air) and 113.5Nm of maximum torque at 11,500 rpm. This new motorcycle from Kawasaki gets a new Kawasaki Quick Shifter system which allows for seamless gearshifts without the need to use the clutch to engage the next gear. The Ninja ZX-10RR is fitted with forged aluminium Marchesini wheels – this helps to reduce the unsprung weight for lighter handling. The Kawasaki ZX10-RR is priced at INR 21.9 lakhs (ex-showroom, Pune) and. Currently, the stock is limited and only 500 units are available for sale across worldwide. What’s your take on Kawasaki ZX-10RR? You can add more to this story by commenting below.